A recently released book rediscovers Walter Albini, the forgotten but innovative Italian designer and forward-thinker. In 1970 French journalist Hélène de Turckheim accused the world of Italian ready-to-wear to actually employ six Parisian designers, and highlighted that, among the genuine Italians only Walter Albini was deemed to be remembered on an international level. Two years after, Women’s Wear Daily compared Albini to Yves Saint-Laurent: the Italian designer was indeed a forward-thinker, a man who, anticipating the “made in Italy” concept, reinterpreted the past and wrote the future but died too young to actually enjoy the fruits of his work. Even in his home country Albini is not so well known but a recently released book 'Walter Albini e il suo tempo'. 'L'immaginazione al potere' (Walter Albini and His Times. All Power to the Imagination) edited by Maria Luisa Frisa and Stefano Tonchi tries through essays and rare photographs and sketches, to delineate this vital figure of Italian fashion. Born in Busto Arsizio in 1941, Albini first moved to Turin and then to Paris, where he worked as fashion illustrator for different magazines and papers and where he met an aging but still irresistibly stylish Coco Chanel. Back in Milan he worked for Krizia, Billy Ballo and, in 1972, designed the collections for five different brands – Callaghan, Basile, Escargot, Mister Fox and Diamant’s – and presented them with an ambitious catwalk show featuring hundreds of models that took place at Milan’s Circolo del Giardino and that influenced the final choice of moving the fashion catwalks from Florence to Milan. Albini launched his “Great Gatsby” collection in 1973 in London and, from then on, kept on experimenting, organising catwalk shows in unlikely places such as Venice’s historical Caffé Florian, or organising mixed-media exhibition such as the one at Milan’s Galleria Eros that featured phalluses personalised by Albini himself and transformed into cartoon characters such as Mickey Mouse, into designers like Armani, Basile and Ken Scott or covered in industrial design jewels. 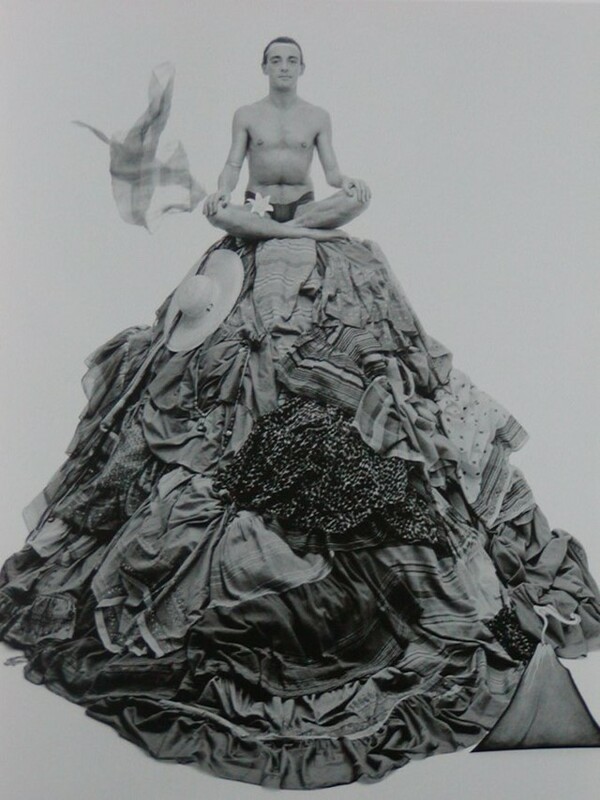 Albini wasn’t only talented, he was also endowed with a chameleon-like beauty: pictured like an eccentric or decadent dandy, photographed like Siddhartha sitting on a pile of clothes or a character out of The Great Gatsby, Albini was the first Italian designer who truly understood the power of the image. Looking back at his beloved Polaroids is a bit like looking at Maripol’s album: his images perfectly captured seminal and stylish moments of fashion history that will never come back. When he died in 1983, at just 42, Albini the underrated, unpigeonholed and charismatic fashion creator and stylist who used to design everything from buttons to textiles, had already managed to trace a path that, even nowadays, many fashion designers are unconsciously following. Dazed Digital: What prompted you to rediscover Walter Albini? Maria Luisa Frisa: Walter Albini is a seminal figure to understand the history of Italian fashion and trace back the origins of our ready-to-wear. I’m always astonished by the fact that he is not so well known even in Italy, only very few people remember him and the designs and collections he created throughout his unfortunately brief career. Yet Albini should be part of our heritage and of the heritage of all those people who like fashion. He should be considered as a vitally important designer who can allow us to reflect about modern but also future fashion. DD: What does Albini represent to you? Maria Luisa Frisa: The early beginning of Italian prêt-à-porter: he indeed started what was fully achieved throughout the 80s and started it in the most amazing way. He was a compulsive, hyper-creative and restless designer who used to have multiple ideas and launch himself into endless experimentations. I think that, after he died, everything became institutionalised, fixed in the monolithic and fossilised logic dictated by brands and fashion houses. DD: Do you think he was never appreciated in Italy since he was too projected towards the future? Maria Luisa Frisa: I think that he was never appreciated because, from the first magazines that ever published his work until his premature death in 1983, Albini’s talent was mainly perceived through his fashion drawings, and he got stuck in the collective imagination of many Italians as a fashion illustrator. So we forgot the most innovative elements of his work, his capacity to re-read and reinvent the artistic vanguards with a pop attitude in mind, his constant experimentations in textile designs and materials and his obsessive research for new forms of fashion presentation. DD: In your opinion, which contemporary designer incarnates Walter Albini’s aesthetics? DD: Which Albini collection is your favourite one? DD: Do you feel that Francesco Vezzoli’s cover for the book incarnates what Albini was about? Maria Luisa Frisa: Vezzoli was almost an obvious choice for a book about the first Italian “superstar designer”, as Stefano Tonchi writes in his essay that places Albini on an international stage together with Yves Saint-Laurent, Karl Lagerfeld and Halston. Francesco Vezzoli based his work on a famous portrait of Albini dressed up in Gatsby style taken by Gian Paolo Barbieri, and added to it a subtle and poetical element, coming up with an iconic image of an icon. It was a perfect idea and I loved the mirror-like cover that multiplies and reflects into a many splendored and splintered thing the image of the first Italian designer and stylist. DD: Are there any projects for a Walter Albini exhibition in future? Maria Luisa Frisa: I envisage this book as a sort of exhibition on Walter Albini per se since it features original drawings, pages taken from vintage magazines, photographs, declarations made by Albini and also images of his designs reinterpreted through Fabrizio Ferrini’s art direction. These are very different materials, but we put them one next to the other in an unusual way and not in a chronological order because we wanted to allow the reader to ponder on how Walter Albini’s poetics have had an impact on our days and on the decade that witnessed the transformation of fashion into a fundamental element of our society. The book was launched with an installation entitled Albiniana at Palazzo Pitti, during the latest edition of Pitti Uomo. Albiniana was conceived as a sort of fashion code created during the making of the book that refers to Walter Albini’s creative universe through different phases and stages such as ‘Trans-glamour’, ‘Role Play’, ‘Mask Parade’, ‘Pop Model’ and so on. The installation was created by the group Arabeschi di Latte that turned the “WA” logo into a sort of 3D pop up book with mirrored walls on which photographs, drawings, videos and sketches showed the visitors the research we made through Albini’s creative language. Walter Albini and His Times: All Power to the Imagination (Marsilio Mode, Fondazione Pitti Discovery, 2010) edited by Maria Luisa Frisa and Stefano Tonchi is out now.